Yet again, another AMAZING book by Joanna Wylde. She can't write them fast enough for me to read. I can't wait for the next one!! I think Joanna wylde is getting better and better! This book was amazing. It was unpredictable and had everything I expect from a great book. I alternately loved and hated Painter. And Melanie was a fantastic main character. I would give this book 10 stars if I could! Wow another fantastic story some people are just meant to be together Painter really did do everything to make it work I can not Waite for Gages story!!! 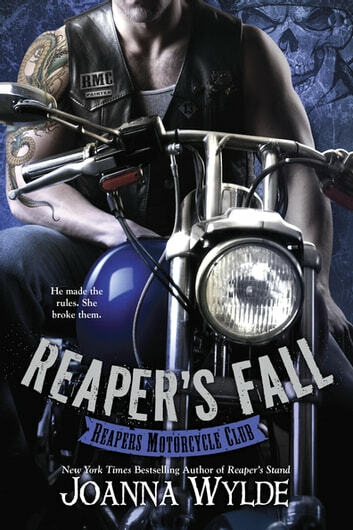 Once again Janna has wrote another reapers story thay you can't put down. Painter and Mel's story was great. I hated and love Painter at the same time. I already can't wait for the next story of Gage. So I love this book series. No seriously it's awesome. If you like Mc books this is the series for you. I would recommend strongly that you pick up these books.